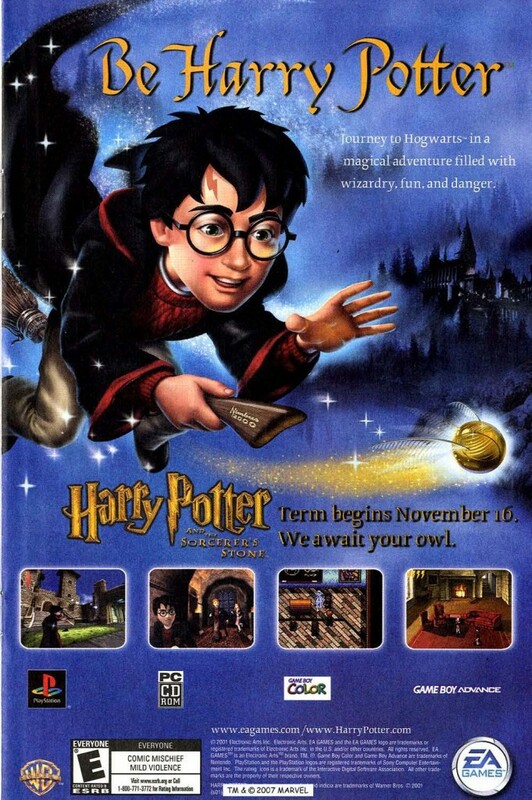 Harry Potter and the Philosopher’s Stone (or Sorcerer’s Stone for our American visitors) was the first of seven books in the Harry Potter series. Electronic Arts snapped up the rights to make games on the series when the film rights were licensed, and farmed them out to a variety of developers. The result was four different games on four different platforms, and I’m not all that certain that any of them are good. I loved playing the GBC version when I was a kid, I actually thought it was a fairly decent RPG, even if it was a bit simple.